When is it time for a windshield replacement in Nelspruit? Anytime you have a crack. A windshield replacement in Nelspruit, a windshield replacement in White River or a windshield replacement in Barberton is going to protect you. That tiny little crack near the corner of your windshield is not just a chip and although leaving it is what most of us do, in just a few months’ time that small crack that you might have otherwise overlooked is going to weaken your windshield. While you are thinking about how unsightly that crack is you are more than likely overlooking the safety hazard that your windshield has now become. A windshield replacement in Sabie, a windshield replacement in White River or a windshield replacement in Barberton is highly important, given how far people travel each day between towns. A damaged windscreen is a danger for motorists. 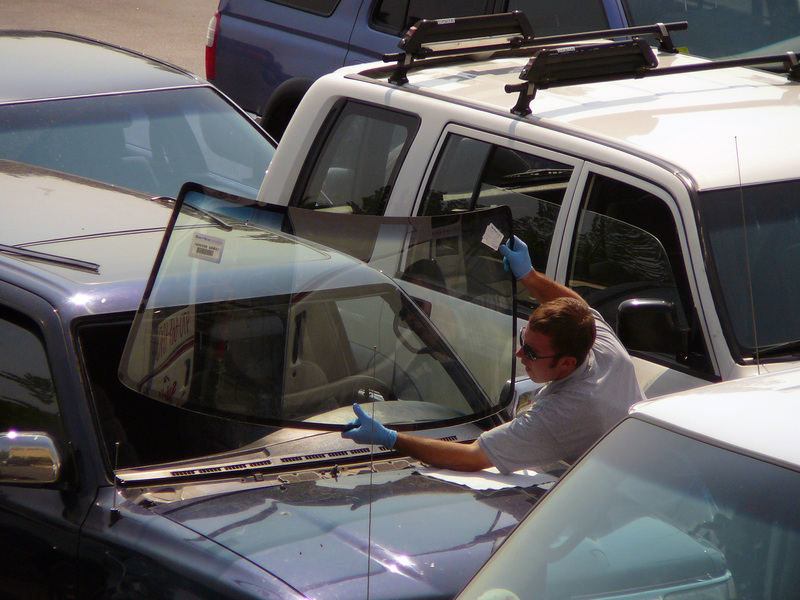 Did you know that a cracked or damaged windshield can change the way that a vehicle will respond to an accident? In recent years, as technology has advanced, tests have been done to determine the various factors that come into play when a person is involved in a car accident. Part of these studies have included the dangers that those with a cracked windshield face. If you have a cracked or chipped windshield, you are likely to rethink any reluctance that you might have in terms of a windshield replacement. Your car’s windshield is more than just a window to see out of; it is a support structure. The windscreen is able to keep your car from crumpling in the event that it is overturned and lands on its roof. If the windscreen is damaged then the structure of the car might suffer under the impact and lead to the roof caving in. When there is a crack in the window it is unable to give the great quality of support that would otherwise have been there. This is one of the biggest reasons to take your car in for a windshield replacement. A windshield as damaged as this one is sure to obscure your visibility completely. In South Africa you always have to be on your toes when you are driving. With people being reckless on the roads and taking unnecessary risks that put both you and themselves at risk, having a clear vision that is in no way blocked or impaired will help you to have the vision that you need to avoid collisions when a fellow road user is driving erratically. But having a crack that is on your side of the windscreen is going to either distract you while you are driving or it is going to block some of your sight. When this happens you will be unable to see clearly or it will make it difficult for you to see the road and the obstacles that might be in your way. If this happens then you will be at risk of being involved in an accident. Windshield replacement in Nelspruit will give you better visibility. When involved in a serious car accident you are more likely to be killed if you are ejected from the vehicle. The windscreen is your barrier and along with the seat belt it can prevent you from being thrown out of the vehicle. Even if your seat belt fails, you will still be protected by the windshield. However all of this changes when there is a crack in your screen. The crack is going to lessen the effect that the windshield is going to have and instead it is going to shatter in the event of an accident. If this happens then you will either be cut by the glass or otherwise hurt, or worse your seat belt might fail you and result in you being thrown out of the vehicle. Most modern cars have airbags for both the driver and the passenger. These airbags are released on impact to protect those within the vehicle but there are times when the airbags will not function optimally, especially when there is no windshield. When the airbags release they press up against the windscreen and this pressure aids their effectiveness. The force of the airbags might even result in the cracked windshield shattering. If this happens then those within the vehicle might be thrown from the car and hurt or killed. Having a windshield replacement in Nelspruit will ensure that your airbags work effectively. To protect South Africans on the roads there are laws surrounding the cracked windscreen. If the crack is obscuring the driver in a way that could lead to an accident then the law will require that the driver have their windscreen replaced. Keep in mind the dangers that we have mentioned above when you consider continuing to drive with a cracked windshield. While you will be allowed to continue driving with a cracked windscreen, if the crack is on the passenger’s side, the moment a crack is on the driver’s side and begins to disrupt the focus of the driver you will run the risk of being fined and it is a good time to then start looking around at having your windshield replaced. Windshield replacement in Nelspruit is affordable and can be done quickly at Eagle Glass. If you are able to catch a crack early on before it starts spreading and reaching the point of no return, there are places that will fix the crack and give your windscreen a longer life span. This will mean that you will be able to get a few more good years of use out of it before you will more than likely eventually have to replace it. If costs are preventing you from having your windshield replaced then you should look to your insurance policy, if you have one. Sometimes there is the possibility of having your windscreen replaced under your insurance. Cracked windshields don’t have to continue to be dangerous any longer when you decide to have a windshield replacement in Sabie, a windshield replacement in White River or a windshield replacement in Barberton. And now that you know what the dangers of a cracked windscreen are you should consider having a windshield replacement in Nelspruit as soon as possible.